Mellor, Mill Brow and New Mills will be fully accessible via diversions along Hogarth Road, Constable Drive and Hollins Lane. All businesses in these areas will be open as usual. Stewards will be on duty along Town Street during the event to assist emergency services and pedestrians if needed. This is a courtesy notice on behalf of the Marple Bridge Association. Please be advised that Stockport Council has granted permission for the closure of Town Street, Marple Bridge, to vehicular traffic on 1st December 2018 from 11.00 hrs. to 17.00 hrs. to allow the MBA's annual Winter Wonderland Event to take place. Mellor, Mill Brow and New Mills will be fully accessible via diversions along Hogarth Road, Constable Drive and Hollins Lane. All businesses in these areas will be open as usual. 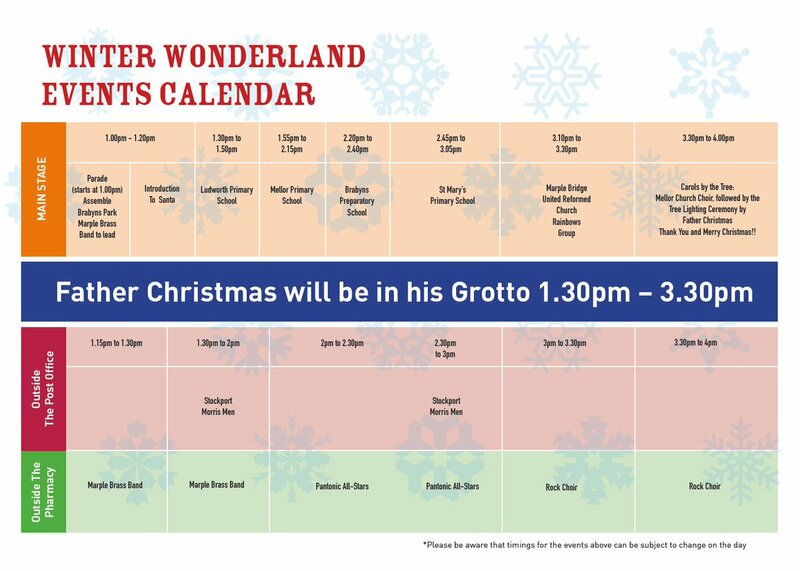 Support Marple Bridge Winter Wonderland and promote your business! 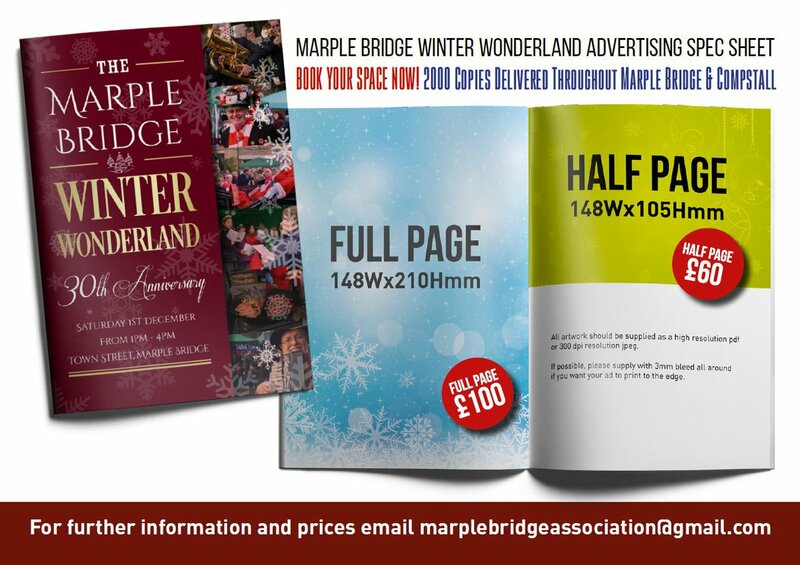 The organisers of Marple Bridge Winter Wonderland are seeking advertisers for their event programme, which is delivered to 2000 homes within Marple Bridge and Compstall. For further information and prices email marplebridgeassociation@gmail.com. 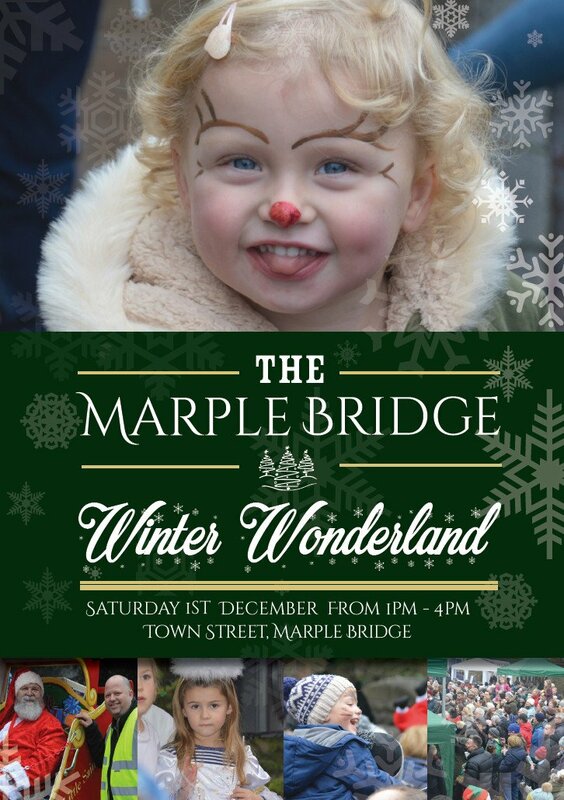 Save the date for Marple Bridge Winter Wonderland on Saturday 1st December!